Where can you find SanLucar? 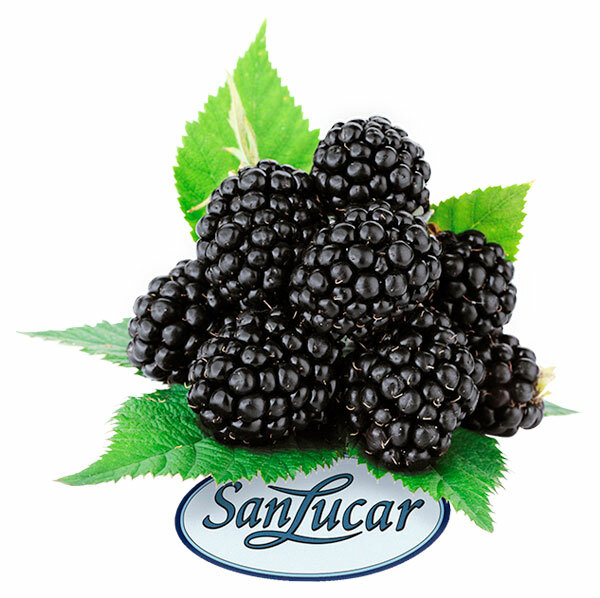 The aromatic SanLucar blackberries are the product of gentle cultivation, where they grow slowly and under ideal conditions. Blackberries don’t ripen after picking, so it is also important to eat them right away or to put them in the refrigerator to keep fresh. The delicate berries are carefully put directly into small trays after picking, otherwise they would be pressed together under their own weight. We take no chances making sure that out little sweeties arrive perfectly protected. 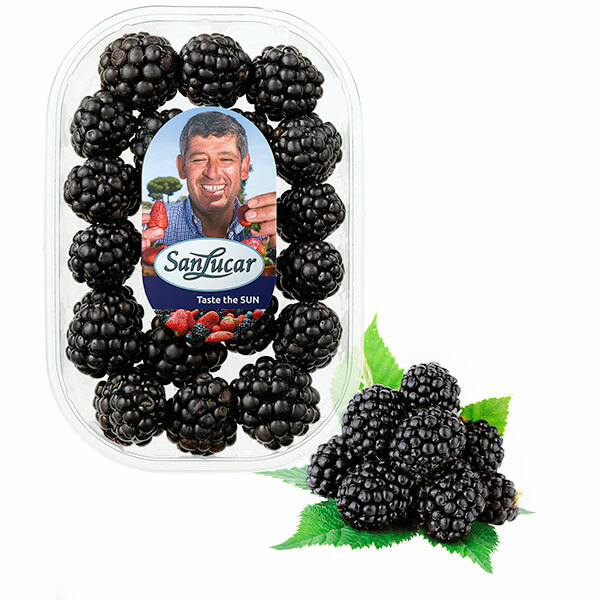 So that we can offer you delicious SanLucar blackberries all year round, our products come from Germany, Italy and Spain, and also from Chile when it’s winter in Europe. Blackberries are very sensitive and can quickly go mouldy through bruising during transport or moisture in the refrigerator. This is why you should eat them quickly or store them for a maximum of two days in the coldest place in the refrigerator. At room temperature, they always taste best and keep only a few hours. From a botanical point of view, blackberries are aggregate fruits, which means that they consist of many small, closely intertwined stone fruits, which are located on the conical fruit base. 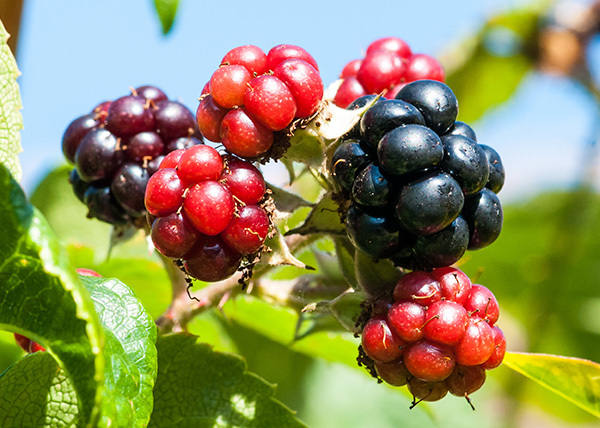 The leaves of the plant as a tea were a popular remedy in the past centuries and in some regions a full-bodied dark blackberry wine is produced. The original home of blackberries is in the vast forests of North America and Eurasia. In ancient times the blackberry was already regarded as a medicinal plant. Today there are about 2,000 blackberry varieties in Europe. A berry for the senses. Sweetly fragrant, velvety and sweet, picked carefully and individually with gloves.